Sumo stablemaster Isegahama, who oversaw former yokozuna Harumafuji, resigned Wednesday from the board of directors at the Japan Sumo Association over the yokozuna’s assault on a fellow wrestler, while two other yokozuna, Hakuho and Kakuryu, were slapped with pay cuts over their failure to stop the altercation, the JSA said. The JSA’s decision to fine the two came after its advisory body made a set of recommendations earlier in the day. The Yokozuna Deliberation Council, which met in an extraordinary session before the JSA’s board of directors convened, said that Harumafuji’s assault on lower-ranked Takanoiwa was grounds for requesting his retirement, even though he had already resigned voluntarily. The council said Harumafuji, the 33-year-old top-tier yokozuna from Mongolia, should have been forced out of the sport had he not voluntarily ended his 17-year career. The JSA also followed the council’s recommendation that Hakuho and Kakuryu deserve reprimands for failing to break up the clash, which left Takanoiwa injured. The incident occurred during a regional tour. The two yokozuna won’t receive a salary for January, the JSA said, adding that Hakuho will also get a 50 percent pay cut for February. 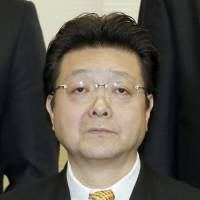 The top sumo body also said Chairman Hakkaku will forfeit his salary for three months until the end of his term next spring. 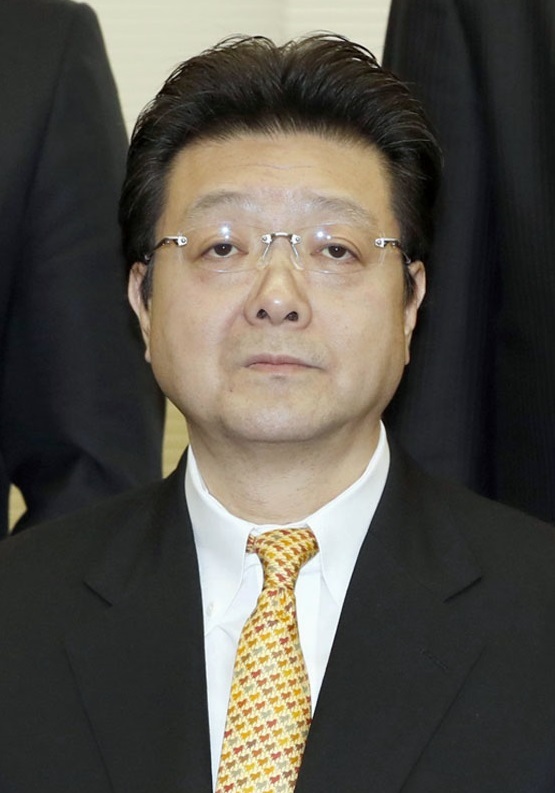 Masato Kitamura, chairman of the Yokozuna Deliberation Council, said earlier in the day there is a need to lay out clear standards for similar cases that may occur in the future. “Harumafuji, a yokozuna who should be a role model to all wrestlers, showed abusive behavior that led to injury. A yokozuna must bear this heavy responsibility,” he added. Takanohana ran a gauntlet of reporters outside the sport’s headquarters at Ryogoku Kokugikan and another at the entrance to his stable without saying a word in response to a barrage of questions. According to investigative sources, Harumafuji allegedly beat Takanoiwa with his palms and a karaoke machine remote control when Mongolian wrestlers gathered for a drinking session that lasted from the night of Oct. 25 into the early hours of Oct. 26 at a bar in the city of Tottori. Takanoiwa, who suffered head wounds that required about 10 days to heal, filed a police report on Oct. 29. A hospital in Fukuoka diagnosed him with a suspected fracture at the base of his skull, among other injuries. Harumafuji is believed to grown angered at Takanoiwa for his being inattentive while Hakuho was giving him advice, investigative sources said. On Nov. 29, Harumafuji announced his retirement from the sport. He submitted a letter of resignation to the JSA earlier that day through his stablemaster, Isegahama, in Fukuoka. The assault immediately caused a huge public outcry, having revived dark memories of repeated assaults by senior sumo wrestlers against their juniors. In 2007, 17-year-old wrestler Tokitaizan, whose real name was Takashi Saito, died during training after being repeatedly beaten by three senior wrestlers. Stablemaster Tokitsukaze, whose real name was Junichi Yamamoto, was later sentenced to three years imprisonment for ordering the assault on Tokitaizan.